Have an epic duel for your next birthday or private party! Fencers Club can accommodate private parties (ages 7+) both small and large. 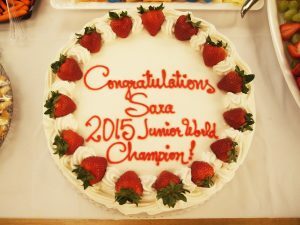 Parties are 1.5 to 2 hours long and feature small-group coaching in fencing fundamentals, all necessary equipment, and time for cake/party favors at the end. Fencing activities are led by our talented athletes and coaches in our state-of-the-art facility located in Chelsea. Please e-mail info@fencersclub.org for availability and more information.